Whew!! It's been quite a summer/fall 2000. 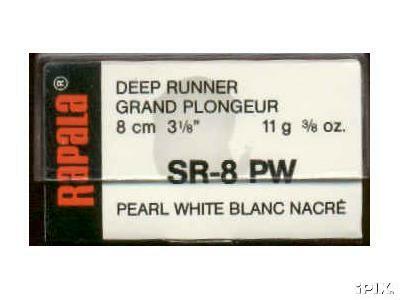 Although you may not have seen any updates to the rapala pages. I can tell you that I was doing a lot of background work on another part of this project. 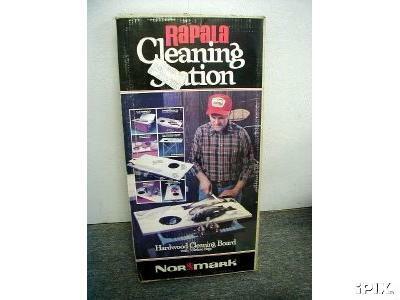 I also kept myself in touch with some of the Rapala items that were for sale. On this new page, I'll hopefully have some of these items described and maybe a few scans. I had spent quite a bit of time finding the first of these lures I added to my collection. 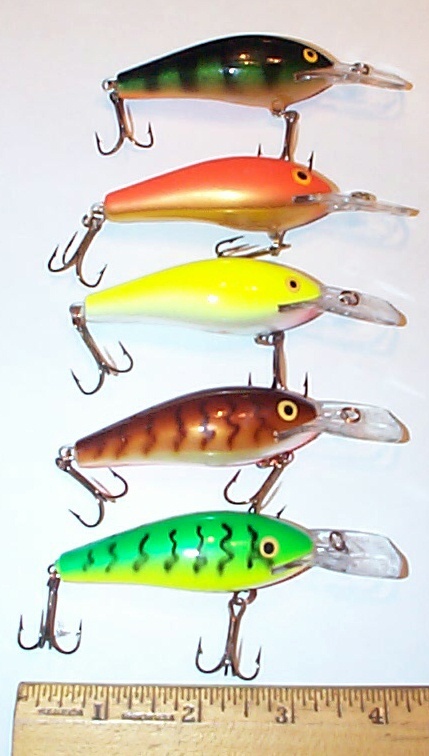 These first ones were the 'newer' of these lure's style. Just recently I was able to find them in a older style. 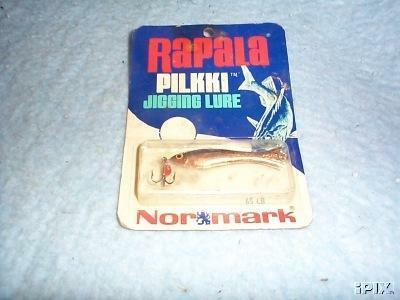 Rapala Pilkki 65 BR View it here. This is the first of this style I have. It's in ex condition and is in the original package. The color code refers to the color name, Brass Red. Rapala Pilkki 65 CB View it here. Yet again, I got another of this style. It too is a great addition to my collection. This lure is in the color code CB=Copper Black. Both of these lures are dated 1972 on the back of the package. I spent some time this summer focusing on this lure. I was able to get several different color patterns on this lure. Some of them in the box others without. Rapala Fat Raps View it here. A group of 5 Fat Raps in different color patterns. These lures are in great shape. I went after this lot for a couple of the color patterns I didn't have. Another lure that is a welcomed addition to the collection. 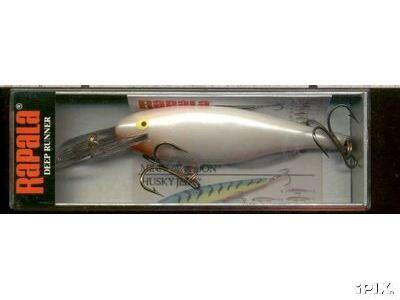 A Shad Rap in the hot color pattern of Pearl White. Another Pearl Shad Rap. This one in a different size. I've been looking for a source for more of these types and I might have found a couple. 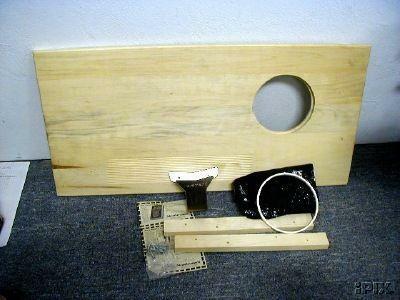 Below is the end plate off this box. Well here it is, the start of another year. 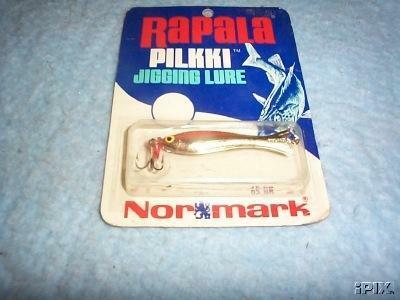 I've been able to get a couple of Rapala-Normark knives. Below you'll find some scans of them, along with a brief description. 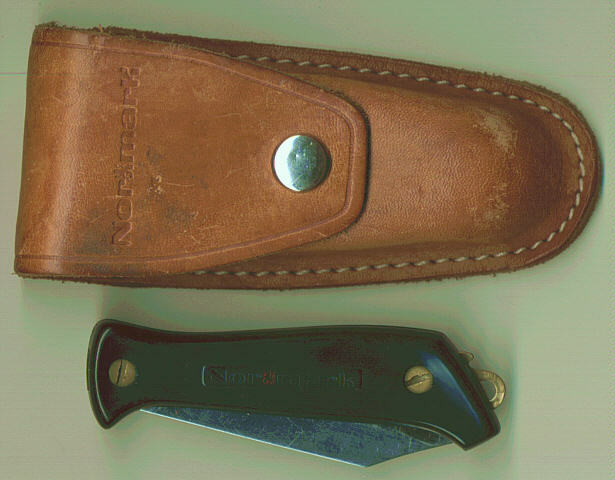 Here is a very nice, Normark hunting knife. This piece is the first of knife section of my collection. It is a beautiful knife, it shows no signs of being used or sharpened. A beautiful Pocket Knife. I got this in the box. The box is a bit rough. 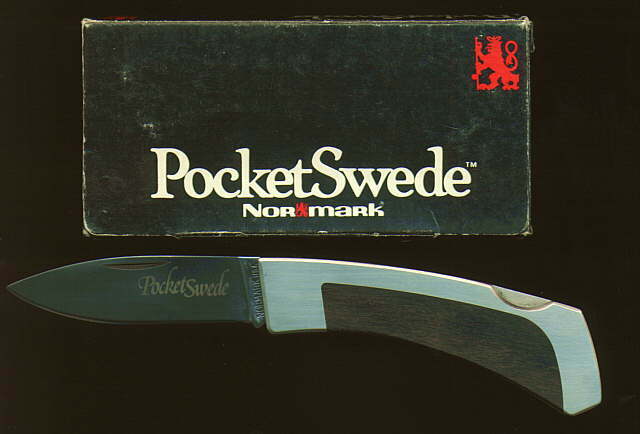 What I believe is an older little swede 45 with it belt sheath. A nice knife. Rapala Fold 'n Fillet knife. View here. A beautiful natural colored wood handle. A 5 inch blade. With the Normark name and bearing an embossed brass lion, Normarks, mark of excellence. Complete in package. Dated 1985. Just a older pair of Normark Scissors. View Here. 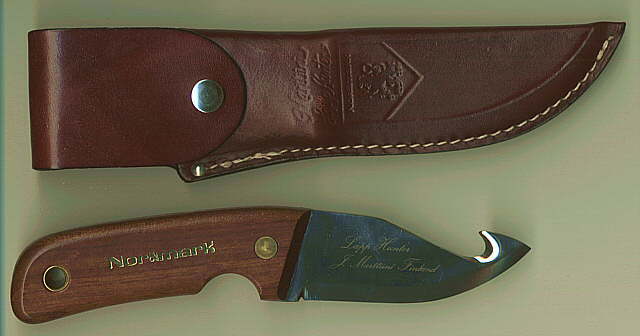 This is the model dp423, it's the medium sized knife in this series. View Here. This is model dp424. It's the large sized knife. I have this one with it's box. View Here. 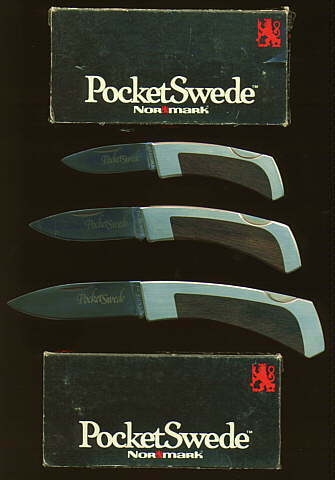 Here's the whole group of Normark Pocket Swede's. This turned out to be a great addition to my collection. View Here. Rapala Butcher-Block Fillet Knives. 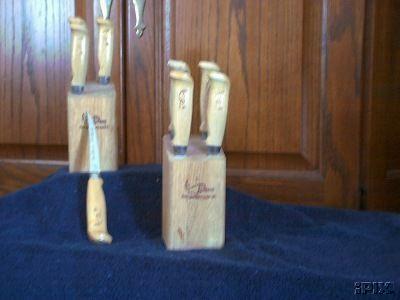 A interesting set of Fillet knives. I don't have alot of info on this. As soon as I dig up any I'll update this. I just got this and haven't recieved it yet. I will add all the info asap. I do however have a couple of views of it. What a find. 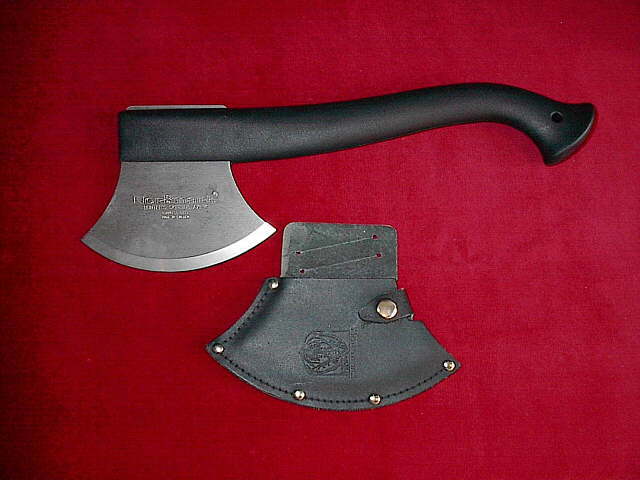 This is a very nice axe. It's in great shape. I really don't think it's that old. 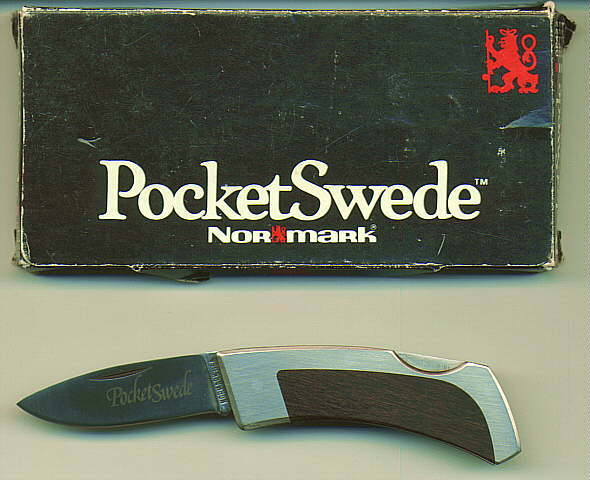 I don't have much information on this side of the Normark product line. I just knew it looked cool and I wanted it. More Of the Rapala Collection on the next page.